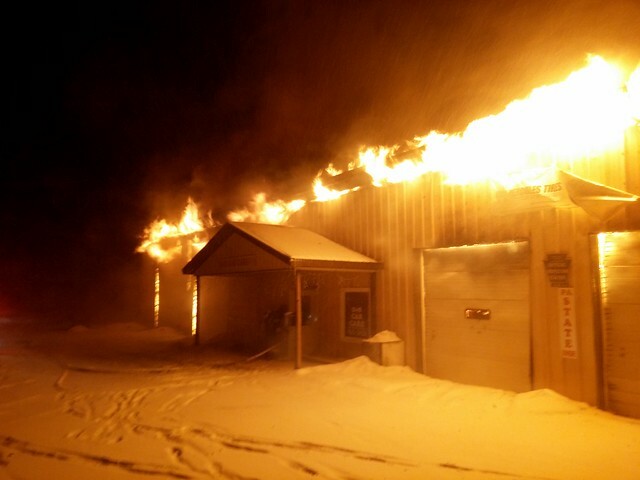 Cochranton firemen responded to a working garage fire on Rt 322 at Townhall Road just after 2 a.m. on Feb. 26th. Upon arrival they found the automotive garage well involved. Defensive operations were used to gain control of the fire as the building was a total loss, along with equipment and vehicles inside. Heavy equipment was brought in to help in extinguishing the fire. Assisting Cochranton were: West Mead 1, Vernon Central, Vernon Twp, Meadville Central’s Tower, Randolph, Utica and Greenwood fire depts. Cochranton Fire Deptartment responded to a house fire on East Adams St in the borough. 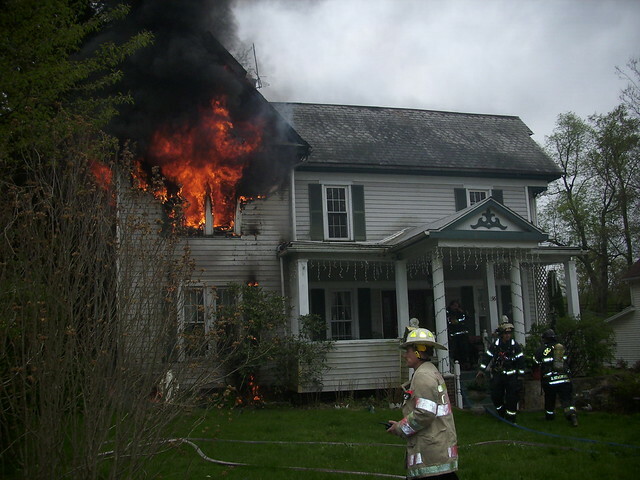 Upon arrival heavy fire was showing from the upstairs windows. Cochranton crews made quick entry to the second floor to extinguish the fire and keep the damage from spreading to the rest of the house. Most of the fire was contained to the room of origin, with smoke and water damage to other areas of the house. Cochranton was assisted by: West Mead 1, and Utica Fire Depts. June 26, 2011. Cochranton responded to a reported trailer fire at the Rt 322 Mobile Home Park 5 miles east of the borough. Upon arrival they found a unoccupied mobile home fully involved. Crews quickly controlled the fire. Assisting Cochranton were crews from Utica and West Mead 1.